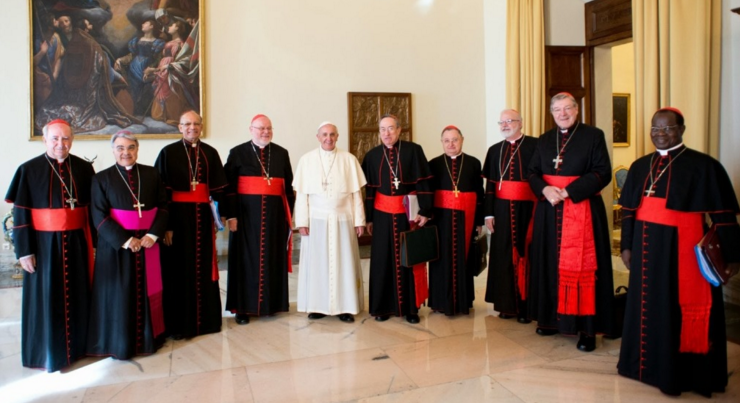 Continuing to reflect on the Roman Curia, the cardinals examined the Dicasteries for Promoting Integral Human Development, for the Oriental Churches and for the Evangelization of Peoples. Msgr. Jan Romeo Pawłowski discussed the progress of the Third Section of the Secretariat of State, chaired by him, which was recently established for the selection and training of the diplomatic staff.